There's been a delighted reaction to the news that plans for a third runway at London's Heathrow Airport will not be going ahead. The decision to cancel came in a joint Conservative-Liberal Democrat policy agreement. 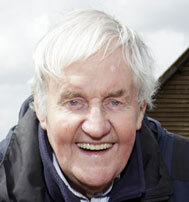 Local resident and actor Richard Briers said he would be going to 10 Downing Street on Thursday to thank David Cameron and Nick Clegg and present them with a legal Deed of Trust containing the names of more than 90,000 people who jointly own a plot of land at the centre of the proposed runway development. But not everyone thinks the move is the right one. Dr Adam Marshall, from the British Chambers of Commerce, said this decision would diminish London and the South East's "attractiveness to investors with potential consequences for the UK economy as a whole". Airport operator BAA, supported by airlines and commerce in the capital, had argued that Heathrow needed extra capacity and without it London - and consequently the UK - would lose out to rival European cities as a place to visit and do business. BAA said it would work with the new government to provide strong trading connections.